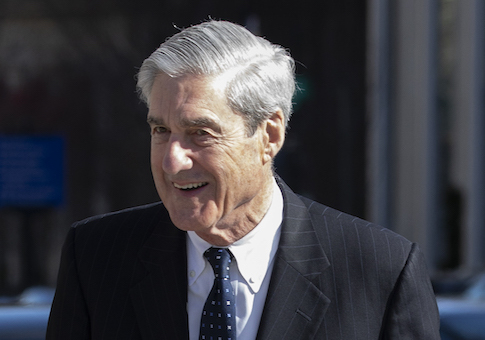 Special Counsel Robert Mueller concluded President Donald Trump did not collude with Russia during the 2016 campaign, according to a summary of the investigation's findings. Attorney General William Barr sent a letter to Congress Sunday, revealing the Justice Department found no evidence of coordination with Russia and insufficient evidence that President Trump attempted to impede the investigation. After more than two years of Democrats and the mainstream press alleging "collusion" between President Trump and Russia, the special counsel concluded not only that there was none, but no one associated with the campaign worked with Russia, "despite multiple offers from Russian-affiliated individuals to assist the Trump campaign." "The Special Counsel's investigation did not find that the Trump campaign or anyone associated with it conspired or coordinated with Russia in its efforts to influence the 2016 U.S. presidential election," the letter states. "As the report states, ‘[T]he investigation did not establish that members of the Trump Campaign conspired or coordinated with the Russian government in its election interference activities.'" The letter also stated no more indictments stemming from the investigation will be issued, refuting claims made by former CIA Director John Brennan earlier this month.